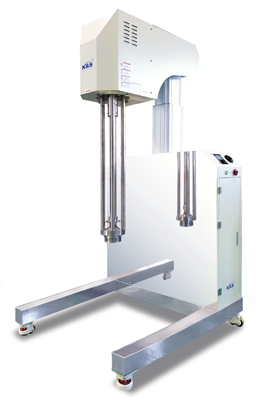 ink, cosmetic, pharmaceutical, food, etc. 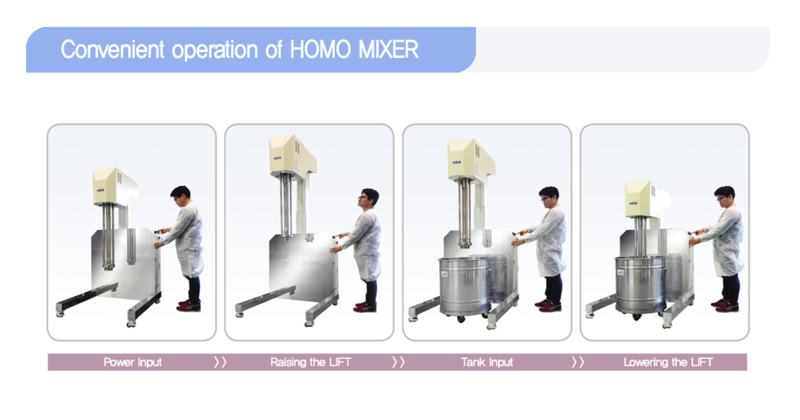 Reference: The image shows the body of the HOMO MIXING SYSTEM with the MIXING PART, connected to the LIFT, CONTROLLER. Mixing PART may be purchased by itself. COPYRIGHT 2017 K&S COMPANY INC. ALL RIGHT RESERVED.